Aging white dwarf stars may be coy about revealing theirtrue age to astronomers, but a new computer simulation has finally unmasked thedeception that allows such dwarfs to appear younger by shining more brightly. White dwarfs are the remnantsof stars that have used up nearly the last of their hydrogen andhelium fuel. Astronomers can determine the age of white dwarfs based on theirfading brightness and use that to estimate the age of surrounding starclusters. "White dwarf stars radiate away their stored thermalenergy, and so they fadeand cool," said Enrique Garcia-Berro, an astrophysicist atthe Universitat Polit?cnica de Catalunya in Spain who led the new study. How old a white dwarf? Such an age discrepancy stood out especially for thewell-studied star cluster NGC-6791. The main sequence method pegged its age of birth to about8 billion years ago, while the white dwarf method yielded a much younger age ofjust 6 billion years. The universe is about 13.7 billion years old. Now the latest model developed by Garcia-Berro and hiscolleagues has shown that the illusion of white dwarf youth depends on therelease of gravitational potential energy, which creates heat and prolongs thecooling phase. Such potential energy is freed when elements settle out withinthe white dwarf or end up physically separated. An element known as neon-22 sinks slowly into the whitedwarf interior as "one of the ashes" left over from the star'shelium-burning phase, the researchers said. More cooling of the core allows thesolid elements carbon-12 and oxygen-16 to separate. "Once you have neon-22 sedimentation andcarbon-oxygen phase separation, both processes release potential gravitationalenergy," Garcia-Berro told SPACE.com. "That slows down coolingand makes the white dwarf brighter." The new study is detailed in the May 13 issue of thejournal Nature. So by appearing brighter, the white dwarf stars lookyounger than their years. 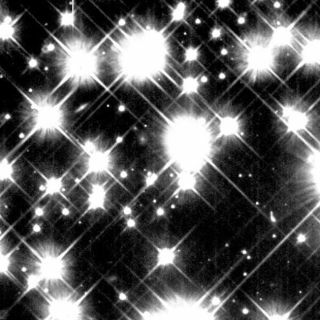 This effect appears much more important for metal-rich starclusters such as NGC-6791. The new model more accuratelypinpointed the age of the white dwarfs as around 8 billion years, give or take200 million years or so — a much better fit than the estimate given by themain-sequence method. Still, the model's correction might change the age ofother star clusters by 5 to 10 percent, Garcia-Berro explained. Garcia-Berro's findings have proven a sweet validation ofhis doctoral thesis published back in 1987 as a paper in the journal Nature.But he had to wait until science observations and modeling technology caught upand allowed him to test his explanation for the suspiciously youthful whitedwarfs. The success also makes white dwarf age estimates morereliable tools for astronomers to understand the timeframe in which differentstar clusters evolved. The deadstars eventually fade, but at least they can shed a bit moretruthful light during their final stroll down Sunset Boulevard. "The important thing is that we now have a reliableand very simple chronometer which allows us to measure cosmic timescales,"Garcia-Berro said.